Steatoda grossa goes by many common names, including brown house spider, cupboard spider and false black widow. The brown house spider is a cosmopolitan species found in parts of the world that include North America, Australia, New Zealand and Europe. 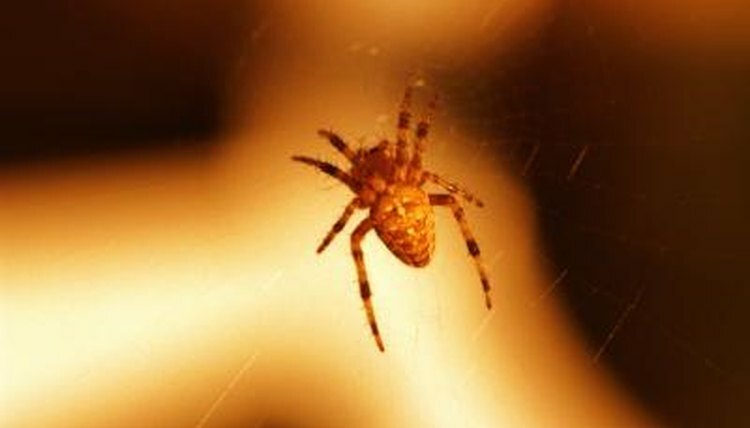 The spider can be found within homes, but the creature is more commonly found making irregularly shaped webs in outdoor buildings. The brown house spider will eat different types of insects and other spiders, depending on what the web catches and what the spider prefers. The brown house spider builds a web that is an irregular, 3-dimensional shape that will tangle other insects and spiders. The web isn't sticky, but the prey gets caught in the web, like a snare, and when it starts to struggle, the spider will use its back legs to spin silk around the prey until it cannot escape. Once the prey is immobilized, the spider will inject venom into the prey and start to feed.